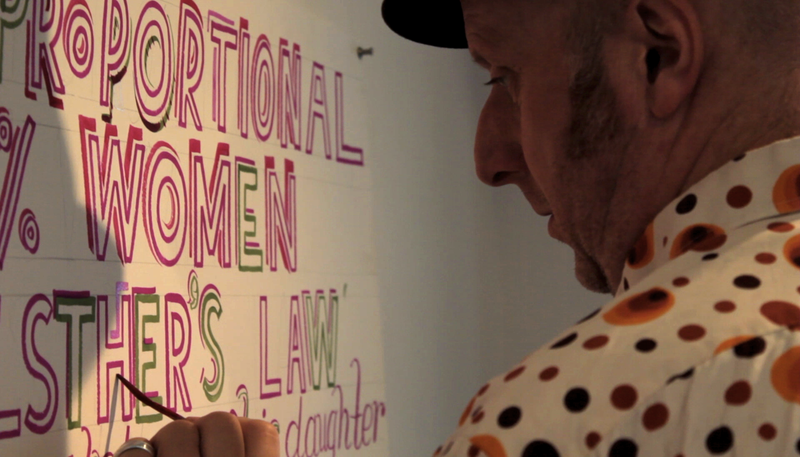 Since July 2009 I’ve been following around the artist Bob and Roberta Smith with a video camera. I’m now in the process of editing the documentary that justifies this peculiar behaviour. The film will most likely be called Make Your Own Damn Art – but I didn’t want to steal that for the name of the blog as it really belongs to Bob and is the title of one of his books. I’ll be posting some thoughts and clips as the edit progresses. Then of course I hope to be posting news of screenings. Here’s some early footage that I cut together for Wire magazine back in 2009 from a show Bob did at Beaconsfield gallery in London. Here are a few things I wrote when I was editing a work-in-progress cut that was shown at the Institute of Contemporary Arts in London last May.